Adrian Ley is Melbourne based award winning photographer and Master of Communication Design graduae. Ley specialises in specialises in brand identities, design and strategy for sport, content production across photo video and illustration, and copywriting – particularly for cycling, football and design history. His clients range from local businesses, artists and startups to internationally recognised brands, governing boies and multinationals. Hi Adrian, what’s up? Can you just give a brief introduction of yourself. I’m a 26 year old graphic designer and content producer. Past studies include graphic design, photography, and film making at undergraduate level, and a masters of communication design. My design practice focuses on brand identity and book design, while I am quite active in designing, running campaigns and producing content for sport (mainly football/soccer and cycling). My research investigates if spectualvie design is an appropriate tool to critique branding. Do you think being critical of graphic design today is important or just a trending topic in design community? I don’t think that it is just a trending topic in the design community. Through design history there have been a number of high profile voices that have been either critical or offered an introspective and speculative look at graphic design. I think the difference now is that the design community has expanded so much and across so many different disciplines that the voices of design reason, and educated opinion can sometimes get muddied, often from people well outside the graphic design community. It is up to the design community to ensure that design criticism and constructive thought remains educated and considered through proper leadership of their respective design communities. Do you think speculative design is a practical design tool? I think a lot people see it as a beneficial exercise but impractical within industry environments. I definitely think it is a practical design tool. I can understand the hesitations from people, but having used speculative design during my masters at RMIT, and having participated in a speculative design workshop with the Royal College of the Arts, I can certainly see its uses. It allows designers to be more adaptable and “futureproof” in a few ways – firstly, through being more considered of its social context the designers work can take on an added layer of meaning and depth. Secondly, it can open up completely new ways of design thinking and strategy – leading to changes and adjustments to future work, or helping build a greater understanding of the role a graphic designer plays in the future. Your research explores shifts in communities understanding and treatment towards branding. Your research focused on sports team but do you think most things have the ability to become a brand? I honestly do. In a way most things already are brands, they just haven’t been communicated in a way that lends itself to the current idea of a brand. Take shires and councils of regional Australia for example. 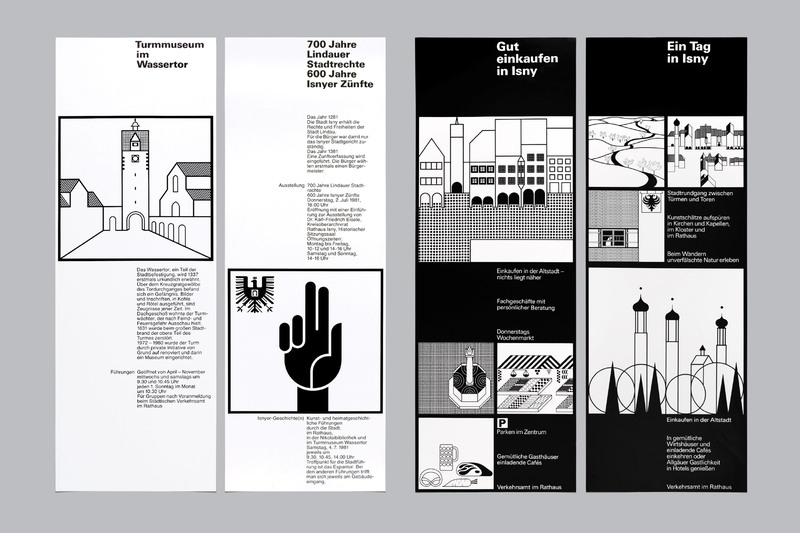 Long have countries and cities operated as brands – Otl Aicher’s work for Isny im Allgäu as a perfect example of “vintage” town branding, but only recently have many regional centres taken steps towards being what we now consider brands to be. Speaking from my own experience of growing up in regional Victoria, I’m now seeing the local shires from the area I grew up in taking a much more considered design approach and engaging with the community through design. These are administrative councils that hadn’t really made any changes to their design and identity for my entire life, but now in the last few years are taking major steps to evolve from simply that – administrative councils into brands. Another quick example, relating more to my previous studies: Juventus. 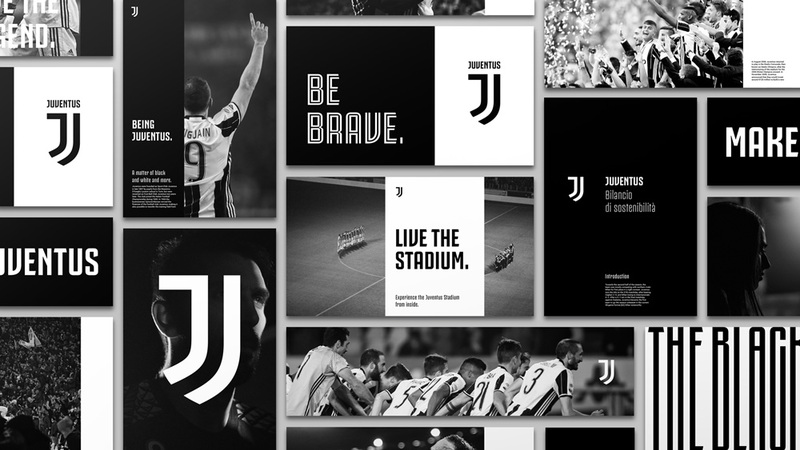 While many football clubs have slowly developed themselves into brands as we head further into the digital age, Juventus has been the club to take the biggest and by far the most pronounced move. It was a rebranding that showcased the club as a brand just as much as a sporting club. Their complete departure from tradition in the redesign of their logo sent shockwaves through the footballing and design world, the extensions and redefined voice of the club has allowed them to position themselves much more as a brand that just a football club. As digital brands become this online narrative, they are essentially myths. Do you think it’s important to stay truthful and accurately depict, for example your football team or is this a fun opportunity to exaggerate these myths? In the world of influencers and online narratives I think that authenticity should remain at the forefront. It is possible, and it’s certainly fun to engage in some fun storytelling and exaggerate on these myths, but if you do I think the most important thing is that it remains authentic. The rise of influencer marketing has changed the way brands need to communicate with their audience, but it has also made that audience all the more aware to when they are being spoken to in an authentic way or not. For those that have been exposed since the initial boom of influencer marketing, or those that work within the realms of Communication Design it can be spotted from a mile away. How has branding transformed in the digital age? Through the digital age the required voice has been changed, but the way we work has shifted quite a bit too. While there’s absolutely nothing wrong with it, it’s interesting to have watched brand identity design opting for a mobile first approach – using colour spaces, shapes and fonts that might look pretty bang average on printed collateral, but are best suited to on screen viewing. The brand extensions have changed significantly too – animation, motion graphics and video now plays a major role, while you now see the old staple that was stationery now taking a back seat in the suite of extensions. I think previously, branding occured naturally through an audience being informed of a narrative over a period of time. I believe there is a mindset to develop brands first, do you think this is detrimental? I don’t think it is detrimental, but I do think that brands cannot develop, and should not be developed in a vacuum. No matter how informed those involved may be, a brand should be developed with the “outside world” and its social context in mind. This approach should allow the foundations of the brands narrative to be identifiable in the core of the brand as the narrative itself unfolds over a period of time. As I’ve touched on in previous questions; whether educated as designers or not, our society is becoming more and more aware of the messages and approaches brands are utilising, so a disconnect between the brand and the chosen narrative can often be quite evident. How has the development and portrayal of branding been altered in the digital age? The development of branding has changed in the digital age as it has given critical thought and design discourse a greater platform. This comes with pro’s and con’s but I think at the end of the day it does push standards higher. It pushes further critical thinking and evolution as design is rapidly changing – to come full circle, it’s up to the educated and nuanced members of the design community to ensure that branding in the digital age adheres to the same standards of the past.